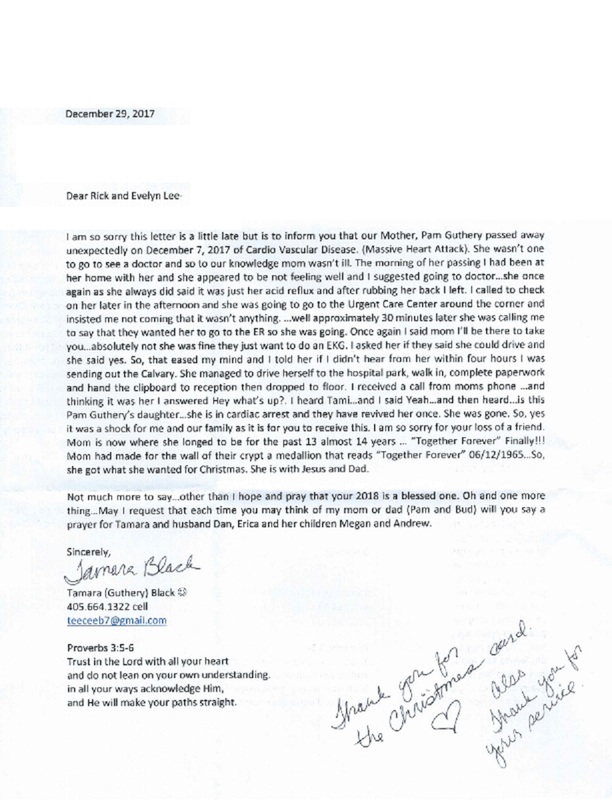 Rick Lee received a letter from Tamara (Guthery) Black on January 5th, 2018 to let us know that Pam Guthery, the wife of one of our departed veterans Buddy Guthery had passed away on December 7, 2017. 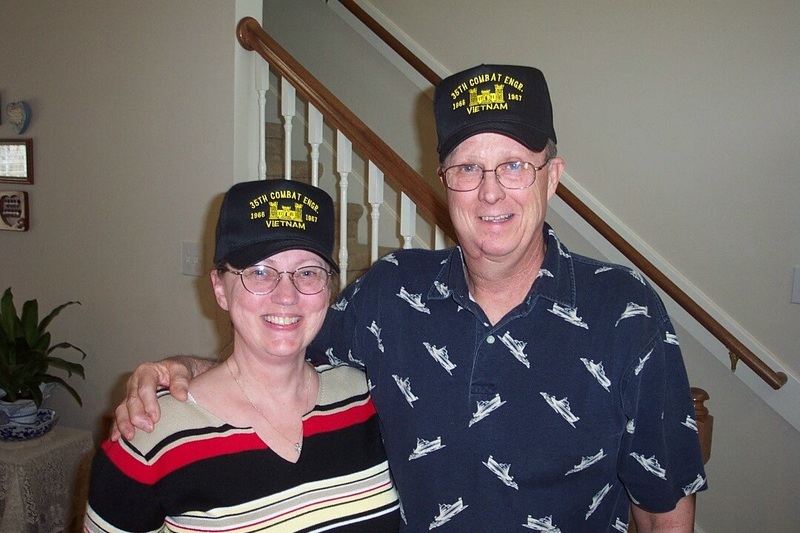 There are many of our 35th Engineer veterans that did not know or had never met Odes (Buddy) Guthery and his wife Pam Guthery. Those of us that knew them, like Evelyn and I, Dennis and Judy, Robert L Jackson and his late wife Kathy, John and Linda Nichols when we all live off base in Tacoma, Washington near Fort Lewis Washington in 20 by 20 boxes call apartment. Others that knew Buddy well were all those that attended the nightly get togethers in 3rd platoons tent on LZ Dog (BonSon, VietNam). Buddy was recovering from an operation for cancer when he made our first annual reunion in April 2002 at the Holiday Inn, Sulphur, Louisiana. That was the only one and the last one that Buddy attended. The following year Buddy was at MD Anderson hospital in Houston, TX again battling cancer with his bride at his side. They came to visit Evelyn and I after the second reunion as we were living in Tomball, TX. not far from MD Anderson. Later in 2003 Buddy and Pam went back to their home in Bethany, OK where he passed away on January 20th, 2004. I never met their children but through communication with Buddy before his passing and with Pam after his passing I understood them to be a close and God loving family.